The 2018 Emirates Airline Dubai Rugby Sevens is underway at The Sevens Stadium. Now in its 49th year, the event is set to be the largest event on record with over 930 rugby and netball matches across three days and enhanced entertainment for everyone. During the Dubai Sevens, Emirates will be bringing the Rugby World Cup and will be displaying it at its hospitality for guests and fans. After six months of training, drills and preparation, the EK Firebirds, an all-women’s rugby club comprising Emirates Cabin Crew from 14 different nationalities, is ready to compete at the 2018 edition of the Emirates Airline Dubai Rugby Sevens invitational women’s tournament. The EK Firebirds squad met with the USA Women’s Eagles, the national sevens rugby team, for a mini-training camp ahead of the tournament, where they ran through practice scrums, along with kicking and tackling techniques and exercises. The EK Firebirds team members come from rugby loving nations including the UK, Australia, New Zealand and South Africa, as well as other diverse nations like Romania, Slovakia, the Czech Republic, Namibia, the Philippines and Nigeria – reflecting the multicultural Cabin Crew team at the airline and the global make-up of Dubai. The team members have found time to practice and train during their busy travel rosters, and organise themselves to ensure that as many of them train together as possible, using the Sevens stadium, Zaabeel Park and other venues in Dubai as their training grounds. Emirates will commence a fourth daily service from Dubai to Sydney, Australia, on its iconic A380 aircraft from March 25, 2018. 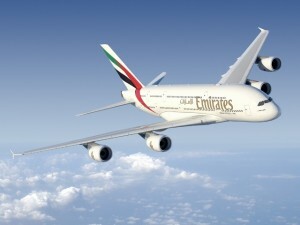 The new daily service will complement Emirate’s existing three daily A380 services and improve connections globally. The move will provide passengers travelling from Europe and North Africa greater connectivity to Australia. It also builds on Emirates’ partnership with Qantas, meeting continued demand for services to Dubai and complementing Qantas’ re-routing of its current Sydney to London service via Singapore (instead of Dubai). Emirates’ new service will offer passengers an afternoon departure from Sydney and a convenient arrival in main European cities the following morning. 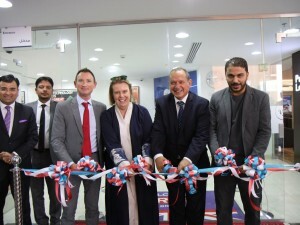 It also introduces a new option for passengers to depart London and main European cities in the morning with an afternoon arrival in Sydney the next day with a short connection in Dubai. Between March 25 -30, 2018, the inbound service EK416 will depart Dubai at 20:40 hours, arriving in Sydney at 17:20 hours, the following day. Due to daylight savings from March 31, 2018, the arrival time changes to 16:30 hours, the following day. Between March 26-31, 2018, the outbound service EK417 will depart Sydney at 17:05 hours, arriving in Dubai at 00:25 hours the following day. Due to daylight savings from April 1, the outbound service EK417 will depart Sydney 16:15 hours, arriving the same time the following day. 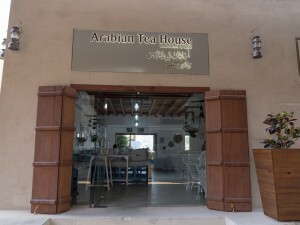 All services will be operated by an A380 aircraft. The A380 aircraft offers 489 seats in a three-class cabin configuration with 14 private suites in First Class, 76 flat-bed seats in Business Class and 399 spacious seats in Economy. 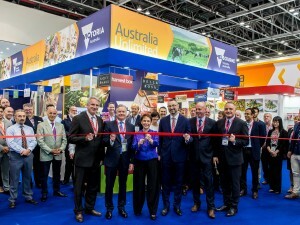 Having recently completed 25 years of operations in Dubai, Marhaba, the provider of premium airport passenger services, launched its first airport lounge in Australia. 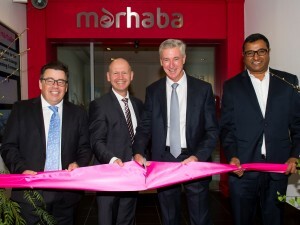 In addition to its new facility in Australia, Marhaba also opened a new lounge at Karachi’s Jinnah International Airport in July this year. Marhaba offers a meet and assist service and operates lounges in Dubai (DXB and DWC) and Bahrain. The spacious Melbourne lounge features seating for 200 guests, a quiet zone for relaxation, shower facilities and buffet cuisine from around the globe. Speaking at the official opening of the lounge, Gary Chapman, President, dnata, said, “Australia is a very important market for us and we continue to look for opportunities to bring more of our services to customers here.” “We already operate Australia’s leading in-flight catering company, Alpha Flight Services, and are delighted to add the Marhaba brand of airport hospitality to serve Melbourne and those passing through Melbourne Airport.” Melbourne Airport is the second busiest in Australia and one of the most important travel gateways in the country with more than 33 million passengers in 2016. International passenger traffic is expected to reach 64 million by 2033. Emirates will introduce a third daily service to Brisbane, Australia from December 1,2017, complementing Emirates’ existing two daily services. The direct service, to be operated on a B777-200LR aircraft with eight seats in First Class, 42 in Business Class and 216 in Economy Class, will increase capacity on the route by 3,724 seats a week, inbound and outbound between Brisbane and Emirates’ hub Dubai. This will give passengers in the United Kingdom, France and North America greater access to Australia with just one stop in Dubai as part of Emirates’ global route network. The inbound service EK430 will depart Dubai at 22:00 hrs, arriving in Brisbane at 18:15hrs the following day. While the outbound flight EK431 will depart Brisbane at 22:25 hrs, arriving in Dubai at 07:00hrs the following day. 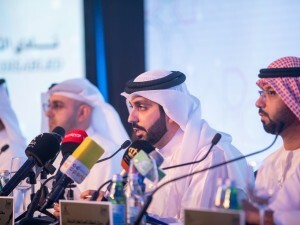 The service will operate alongside two existing daily services to Dubai. Flights EK434 and EK435 operate non-stop between Dubai and Brisbane and onwards to Auckland, New Zealand, while flights EK432 and EK433 operate between Dubai and Brisbane via Singapore. Additionally, with codeshare partner Qantas, Emirates offers services to Singapore twice daily from Brisbane. The news comes as Emirates announced it would be upgauging its third daily service to Melbourne from a B777-300ER to an A380 operation from 25 March 2018, allowing passengers to travel aboard Emirates’ A380 on all three daily flights between Melbourne and Dubai.